Avocado allergy is not very common, but just like other types of allergies, symptoms may range from mild to severe, with life threatening anaphylactic reactions. Depending on the type of avocado allergy (whether to tree pollen or fruit latex), symptoms may vary, requiring medical consultation for proper treatment. This is the less severe form of reaction to avocado, wherein the body manifests allergic reaction to proteins found in avocado in a similar manner as it would react to other allergens (allergy-stimulating substances) such as pollen. Oral allergy syndrome or OAS affects up to one-third of people who has pollen allergy. 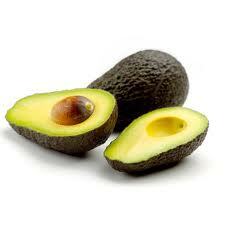 Symptoms of OAS to avocado are usually manifested only in the mouth, lips, and throat. They include itchiness of the throat and mouth, as well as swelling of the lips, mouth, tongue, and throat. However, like other pollen allergies, one may also experience sneezing, itchy, and watery eyes. These symptoms may appear quickly after eating the fruit, but they can sometimes occur after an hour or more after eating avocado or food products containing it (ex. guacamole). Very few people with OAS get anaphylaxis, a serious allergic reaction that can be life threatening, requiring immediate medical attention. Approximately half the individuals who are allergic to latex also develop allergic reactions to avocado, according to the American Academy of Allergy, Asthma & Immunology. They may also be sensitive to other foods such as chestnut, banana, kiwi, and tomato. Latex allergy symptoms can be mild to severe or life threatening so if you think you are allergic to avocado, consult a doctor to check if you have a latex allergy as well. However, some people who are not allergic to latex may still manifest symptoms of avocado allergy. There are several ways to remedy avocado allergy. If symptoms are more than just mild or if they persist, contact your doctor immediately. Like any other allergen, it is best to avoid avocado to prevent allergic reactions. You may also have to avoid any food products that contain avocado, such as guacamole, salad, salsa, soup, or bread. People who have severe reactions to avocado or similar foods should carry an allergy information card or wear a medical alert necklace or bracelet which will help other people to respond in case of allergic reactions. These teas can help relieve symptoms of avocado allergy such as itching, hives, and skin rash. They are favorite home remedies for relieving avocado allergy symptoms since both have antihistamine effects. Apply aloe vera gel to the skin to soothe itching and rashes caused by avocado allergy. Symptoms related to gastric discomfort (nausea, vomiting, diarrhea) are usually relieved by drinking a cup of freshly made pomegranate juice, sweetened with juice from sugar cane. Prepare tomato soup with a teaspoon of lemon juice, a teaspoon of chopped ginger, and some salt. Take this twice daily to relieve mild respiratory symptoms like nasal congestion, cough, and watering of eyes. You may also use over-the-counter or prescribed medications such as antihistamines, leukotriene inhibitors, nasal decongestants, nasal sprays, and eye drops to combat allergic reactions to avocados.